It's Christmastime in Jubilee, Texas, but Lissette Moncrief is having a hard time celebrating . . . Especially after she accidentally smashes her car into Rafferty Jones's pick-up truck. Yes, he's a whole lot of handsome—from the tips of his boots to the top of his Stetson. But he's no Christmas present. Lissy's not about to let herself get whisked away by his charming ways and words . . . only to watch him drive away in the end. But what Lissy doesn't know is Rafferty's in town just to meet her—and to give her a share in a windfall that doesn't rightly belong to him. At first, he just wants to do his good deed and get out. But one look at this green-eyed beauty has him deciding to turn this into a Christmas to remember . . . making promises he's determined to keep—whether she believes in them or not. First, don't get this confused with the 2009 romance book with the same name, which is what comes up first on Google when you type the book name in. This is a totally different author and story. Secondly, I'm positive Lori doesn't sleep..ever. I religiously receive a new book from her publisher every 5 or 6 months it seems. They are all nicely written romance so she's not cutting any writing corners. I don't know how she does it. In this 3rd installment of the Jubilee series, Lissy has decided cowboys are the devil's spawn after her's joins the army, rambles off to war, manages to not only get himself killed (of course he was saving children from a bomb) but for some reason leaves her completely out of his will. She's now living in a small town, no real income and her son has been diagnosed as going deaf. She's a little tiny bit angry at the world. 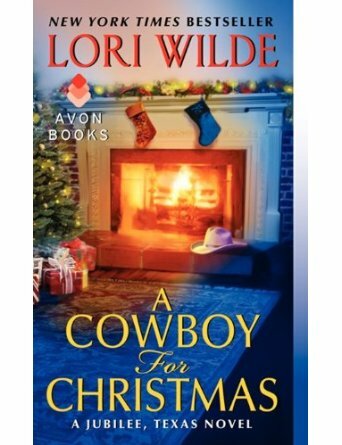 When handsome cowboy Rafferty tries to come to her rescue..........will she give cowboys a second chance? As with all Lori's books, they're fun, have some interesting zinger sentences.. and make you believe in love again.